We've partnered with Burgers' Smokehouse to offer a collection of naturally smoked meats, a flavorful addition to your gourmet brunch buffet. Bacon steak is cut into hearty slices that are more than double the thickness of traditional bacon slices. Bake, grill, or fry bacon steak in a skillet for a delightfully different "chewy-crisp" texture. 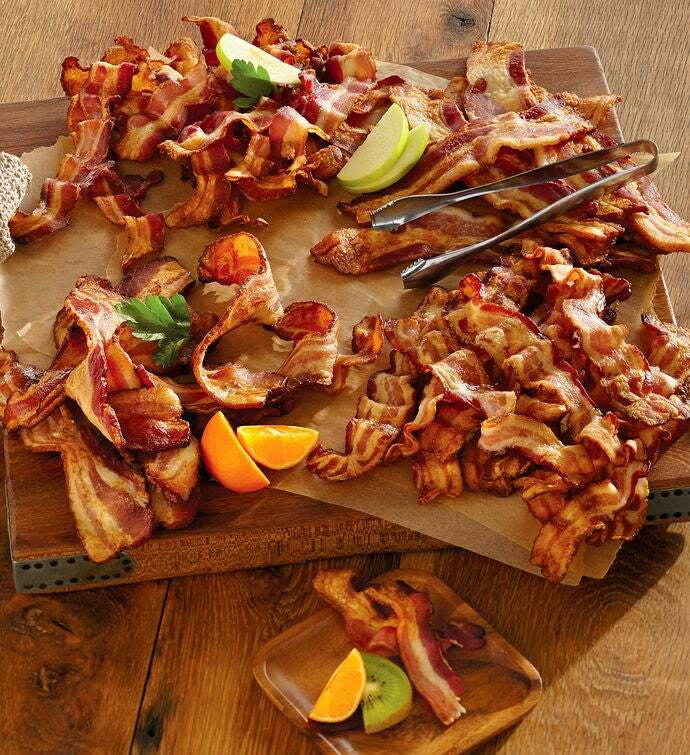 Included in the Bacon Sampler, you'll find one pound each of the following flavors: traditional-cut country, steak-cut country, traditional-cut applewood, and steak-cut applewood. Total weight of this assortment is four pounds. Now you can choose from the best cuts, buy meat online, and have premium mail order bacon delivered to your door.